KernSafe DiskEncryptor is a tool to create encrypted disk partitions or encrypted CD/DVD media. Support almost all kind of Removable, Fixed storage drive, Memory Card and floppy disk. Support for private virtual disk and CD/DVD emulation. Support for private virtual disk encryption and virtual CD/DVD encryption. Encrypt disk partition directly, after encrypted, if someone take it, but he/she have no password or not install this software, the partition can''t be accessed by any case. 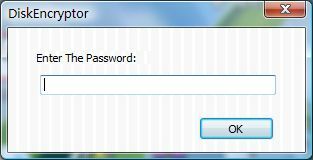 When insert a encrypted disk, a dialog will show automatically to tell you input your password of the disk. Even if lots of data in the disk is enctypted, this data will exist all the same after encryption. Display encrypted or decrypted icon on encrypted drive in explorer. Integrated with windows explorer, you can lock drive or unlock drive by password.